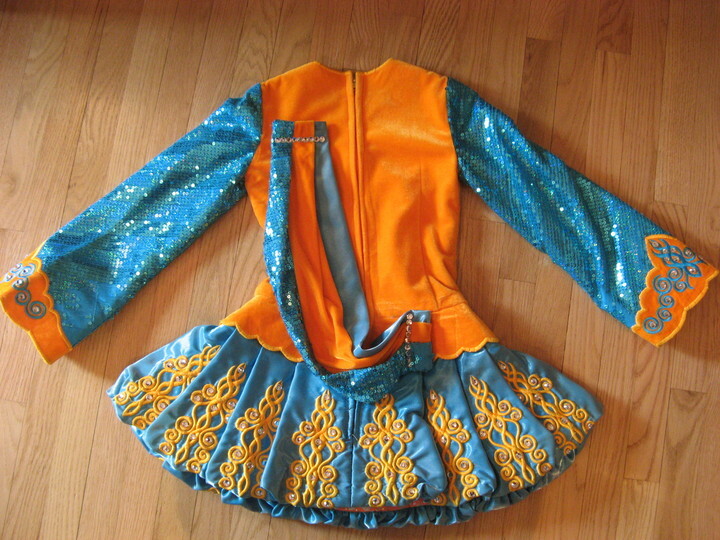 Siopa Rince turquoise sequin and orange velvet puffball dress with a dropped waist. Has great stage presence and really sparkles and stands out on stage. 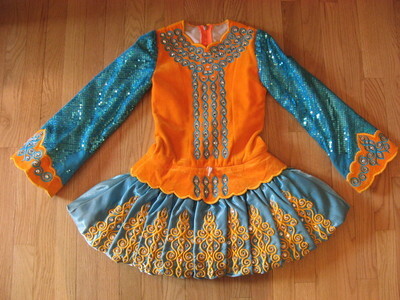 Suitable for a novice through open championship level dancer. 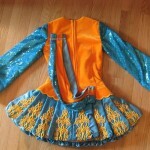 Includes custom made headband and bloomers. Dress has been let out and let down all the way. There is room to take in on both sides and to take up. If the dress is taken all the way in and up, it would fit a 10-11 year old. Asking Price: $US550.00. Shipping costs are not included in the asking price. Sale is final.